There may have been a time when preservation was about saving an old building, house, or thing, but those days are gone…Preservation is in the business of saving communities and the values they embody. 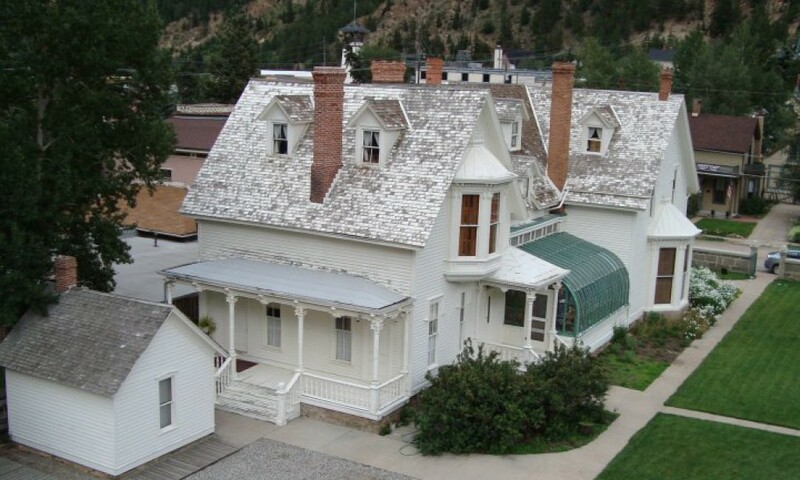 This Blog is about the current state of affairs within and around the Hamill House Museum, the previous Georgetown, Colorado Victorian home of silver baron William Arthur Hamill. The Hamill House Museum is the centerpiece of Historic Georgetown, Inc.’s comprehensive residential interpretation of the Georgetown-Silver Plume National Historic Landmark District (designated 1966) within the context of the Rocky Mountain Mining West. The museum interprets 19th-century residential living in Georgetown, Colorado including architecture, furnishing, Victorian plants, landscaping, & social and cultural lifestyles. Originally constructed by Joseph Watson as a modest Country Gothic house in 1867, it was later purchased by Watson’s wealthy brother-in-law William Arthur Hamill. By 1879, Hamill had greatly expanded the mountain estate into a lavishly beautiful home with its conservatory, gas lighting, bay windows, walnut woodwork, central heating, and luxurious interior decor. The other buildings on the property include the carriage house, Mr. Hamill’s granite office building, a laundry/summer kitchen, and a spacious six-seater privy.